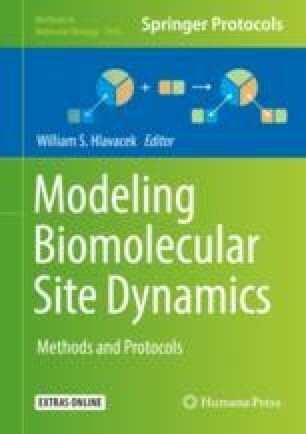 Mechanistic models are an important tool to gain insights about the quantitative behavior of cell-biological signal transduction networks. Here we show how Simmune can be used in conjunction with IPython to create repeatable, self-contained analyses of signal transduction processes in spatially inhomogeneous environments. We would like to thank Anke Knauf and Nicolas W. Lounsbury from the Laboratory of Immune System Biology for critically reading the manuscript. This work was supported by the Intramural Research Program of the US National Institute of Allergy and Infectious Diseases of the National Institutes of Health.